The Iran’s Vice President for Science and Technology Sorena Sattari visited Uganda last week to set up new trade relations with the pearl of Africa just a month to the United States oil ban. The vice president met the president of Uganda Yoweri Museveni in Kampala on Tuesday. In the meeting, Sattari revealed that Tehran is seeking diversify its exports to Kampala region. “Globally we are known for our oil and gas but we are now trying to move away from an oil based and dependent economy into a technology driven one and we believe the region offers us great opportunities to do this,” Mr Sattari said, adding that Tehran was ready to offer the region expertise in technology. US imposed sanctions on Tehran oil that barred all states from exporting with Iran accusing the nation of sterling an arms war. The sanction is expected tobe effected next month. President Museveni commended Iran for being strong willed amidst internal and external challenges. “We are happy to have a relationship with Iran, an influential partner that has over the years showed its resilience despite sanctions,” President Museveni said. 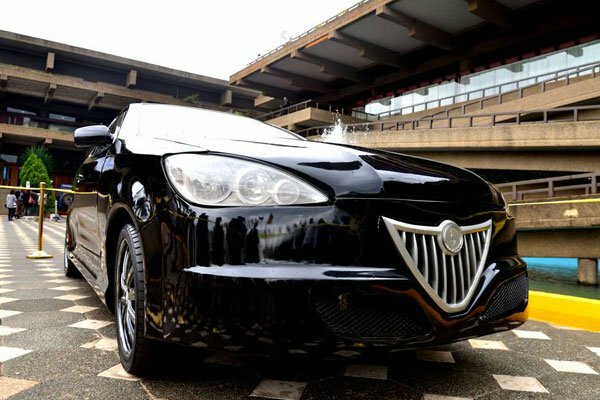 According to the EastAfrican, Tehran is looking forward to funding Kampala’s Kiira Electronic Vehicle Project which was launched April and securing rights to the mining of the niobium mineral, a key component in the manufacture of car batteries, as well as to provide gas technical assistance to the country. Although some countries like India have opposed America’s warning to stop trading with Iran, many have withdrawn their trade relations with the leading oil exporter. According to the updated US statement on the matter, the new sanctions relate to the purchase of petroleum products, which covers products obtained from the processing of crude oil (including lease condensate), natural gas, and other hydrocarbon compounds,” the US Treasury said in its updated fact sheet on the Iran sanctions. In July, Kenya and Tanzania pulled the plug on imports from Iran in the face of United States sanctions against countries that continue to trade with Tehran.